We introduce various spirals which were made during the time from 11,000 BC (Neolithic Period) to 1500 AD (early Renaissance) . Concentric circles were created much earlier (40,000–20,000 BC). For the period between 5000 and 2000 BC spirals in Megalithic arts, Scythian treasures and Japanese clay figures are presented as examples. From 2000 to 1 BC spirals are found worldwide: in Europe, Egypt, Thailand, India, or South America. From 1 to 1500 AD a large number of spirals in Christian, Moslem and Buddhistic cultures were created. 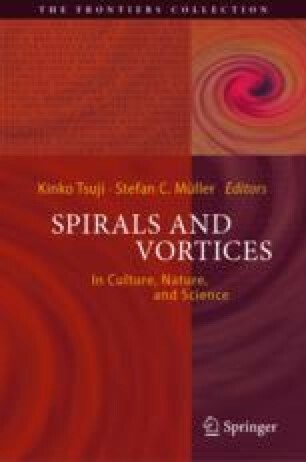 At the end spirals and vortices in the Nordic, Medieval and Renaissance arts are exhibited.